Join City staff and contractors at a weekly meeting about the Coral Ridge Avenue reconstruction from Oakdale Boulvard to Forevergreen Road. Nearby businesses and employees, area residents, and the general public are invited to attend for information and project updates. 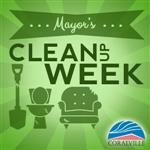 Coral Ridge Avenue construction updates are held every Thursday morning at Coralville City Hall unless otherwise noted. For meeting information or questions, please contact the Engineering Department at 319.248.1720.